BMT Micro's Customer Support and Extensive Fraud Protection | BMT Micro, Inc.
We recently published a blog post about keeping your customers safe. The post covered ways that individual companies and developers can keep their customers safe. 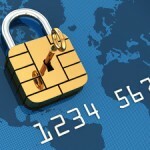 This includes being PCI compliant and using strong SSL for authentication for your shopping cart. This article reflects the processes and measurement BMT Micro personally takes to protect our vendors and their customers. 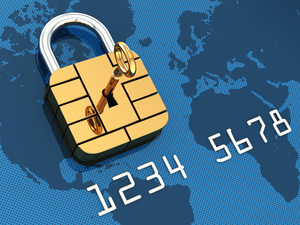 Our main goal is to ensure the safety of all transactions between vendors and customers. BMT Micro has established a state-of-the-art fraud detection system that automatically screens orders with different IP addresses or Card Verification numbers. We take great care to ensure that our system keeps both vendors and customers safe. We achieve this by using our robust fraud protection system that screens incoming orders to put questionable orders through a manual approval process. Orders may have to go through a manual review process for a number of reasons. This is done in order to avoid illegal or unauthorized charges, which may range from fraudulous use of another person’s information and payment methods to kids heedlessly using their parents’ credit cards for purchases that the parents may or may not have permitted. Other circumstances that may cause a delay in processing, due to the need for manual review, are if the CVV information does not match the credit card or if there is a significant mismatch between the address of the customer and the IP address from which the order was made. In this day and age, when we hear so much about people’s information being stolen or hacked, BMT Micro wants to be a place where customers can be sure that their information is safe and vendors can rest confident in the knowledge that their product will not be taken advantage of or be fraudulently used. Our vendors and customers are protected throughout the transactional process as well as during the delivery of products. When a customer orders a product, they are typically given a link to download their purchase. The links provided in the customer e-mails for downloading of the products that they have purchased, all lead to a secure server. The secure download links also come with a certain customer and vendor protection: to avoid fraudulent use and illegal downloading of products, the secure download links will automatically be blocked if abuse is detected. Download links are given to the customer immediately on screen and then by email after completion of their purchase. As you can see, there are extensive measures taken by BMT Micro to ensure the transaction and the customer’s information is safe. Therefore, sometimes there may be a delay in processing your order. BMT Micro is a company located in the United States and if your order is flagged to be manually reviewed, for whatever reason, and the order was made during our off hours or in the middle of the night, the delay may be longer than expected. For example, if you live in New Zealand and place your order at 5:00pm in your local time zone, it may be 1:00am at BMT Micro’s geographical location. Also, when it is 10:00am in Finland, it is 3:00am in BMT Micro’s headquarters time zone. We strive to provide swift and efficient processing procedures, but our customers and vendors safety comes first and foremost, so there may be delays in your order to ensure that there is no fraudulent activity taking place. However, in most cases customers receive instant or near-instant delivery of product or download links. We have a highly trained customer service department that is constantly working to improve our vendor and customer experience. 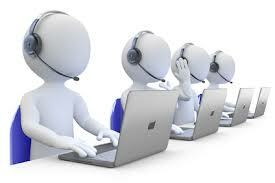 They are always available to answer any questions or concerns that you may have. Our customer service team handles all questions related to the payment and ordering process; however for technical support (for instance how to play a specific game), customers are referred to the vendor or developer of the software or product. BMT Micro handles orders for a multitude of vendors and developers worldwide. We are proud to partner with you all and to be your choice of payment processor. BMT Micro strives and will continue to strive for an excellence in service and are always working towards timely and adept transaction procedures for all our vendors and customers, all the while making sure that online security measures remain a priority.